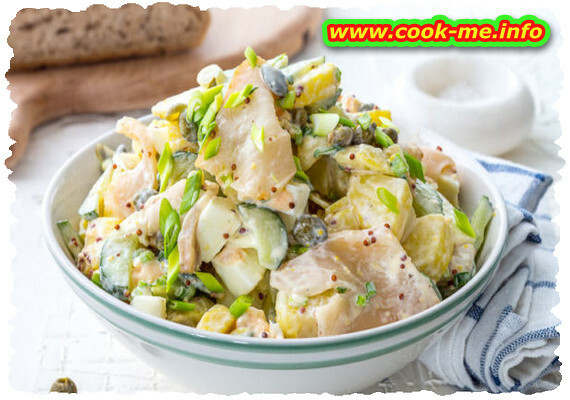 Sprinkle salad with chopped dill and served cold, after at least half an hour after cooked! Wash well the potatoes, cook in boiling water, peel warm, then cut thin slices which are sprayed with oil. Fishes are kept in vinegar, then remove and cut into pieces of approx. 2 cm. The vinegar in that stood fishes is thrown away. Finely cut onions, then add the fishes along with potatoes. All mix well.